Every weekend, a group of UCLA students gather and embark on a journey. A journey to increase awareness of major health problems prevalent in the communities in Los Angeles. Health issues like hypertension, high blood pressure, obesity, malnutrition, and dental problems are some of the problems that the members of the Los Angeles community must face. Luckily, PCH sends groups of volunteers to set up sites to tackle these problems by offering free blood pressure screenings, body mass index measurements and information on hypertension. Anyone that passes by can take advantage of the free services that these volunteers offer every week. These sites enable volunteers to interact directly with the community on a regular basis and they also help community members to be more proactive in maintaining a health lifestyle. Currently, PCH sets up sites at the Seafood City markets in Carson City and Cerritos, and we hope to grow and expand our services to more cities. Chronic diseases are one of the most prevalent afflictions in adults in the US, especially for minority groups such as African Americans and Filipinos. Regular blood pressure screenings are a great way to maintain your health and can detect possible signs of hypertension. Body Mass Index is a measurement of body fat percentage relative to your weight and height. 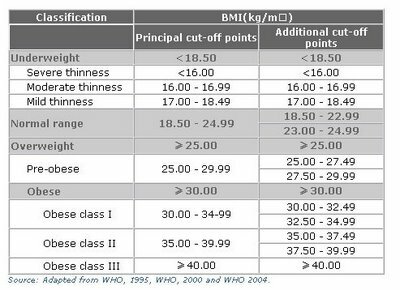 BMI is an important tool in measuring obesity, which leads to health problems such as diabetes and other chronic illnesses.